There were seven churches in Bassein Fort: 2 were managed by the secular clergy and the remaining 5 were managed by the religious Orders of the Franciscans, Dominicans, Augustinians, Jesuits and Knights Hospitaller. On 23 May 1739, one week later, after the Treaty of Bassein was signed between the Portuguese & Marathas, the Portuguese garrison of some 300 soldiers walked out with full military honours as one of the conditions mentioned in the treaty and the Marathas took control of the Bassein fort. The Marathas then removed the 6 church bells from the churches in Bassein Fort, which were then carried off on elephant backs as victory souvenirs by the Maratha sardars to their home towns at various places in Maharashtra. Of the 7 church bells from Bassein Fort, 6 are found today in Hindu temples and the remaining 1 is in the Catholic church at Bombay. Number of bells in the Vasai fort are unknown but we can estimate by the number of churches in the fort. One such Bell was carried to and located at Naroshankar Temple on the banks of Godavari river in Nasik, Panchavati area. The other church bell is located at Bhimashankar Temple is located in the village of Bhorgiri 50 km north west of Khed. Third bell is located at Meneshwar temple in Menavali near Panchgani. This bell weighs six hundred and fifty kilograms. 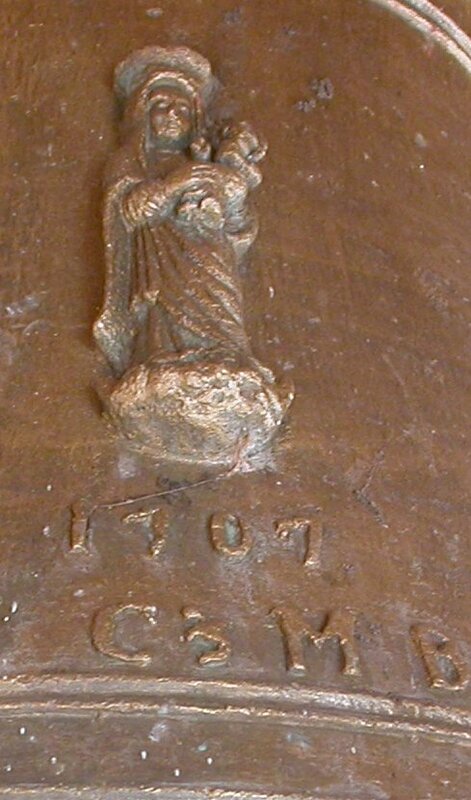 The date on the bell shows the year 1707 and has five-alloy bell bears a bas-relief of Mary carrying the infant Jesus Christ cast into it. Fourth church bell is located at Durga Devi temple, Murud. First Church bell at Naroshankar temple and is so called “Naroshankarachi Ghanta”. The bell was looted in 1739 from Our Lady of Immaculate Conception Church, Mt. Poinsur by the Marathas. It is 2.5-ft high and 10.25ft in circumference. Second Church bell is located at Bhimashankar Temple is located in the village of Bhorgiri, near Khed. Notice 1729, the year when the bell was cast and cross and image of Jesus on the face of the bell. It is written on the supporting structure that the bell was brought to this temple in 1729, which is incorrect. The bell was brought more that 10 years later, after Portuguese were defeated in Vasai. Church Bell from Bassein Fort (with the image of the Blessed Virgin Mary and child Jesus), now at Meneswar temple in Menavali, near Panchgani. The bell house of the Meneshwar temple houses a six hundred and fifty kilogram bell. 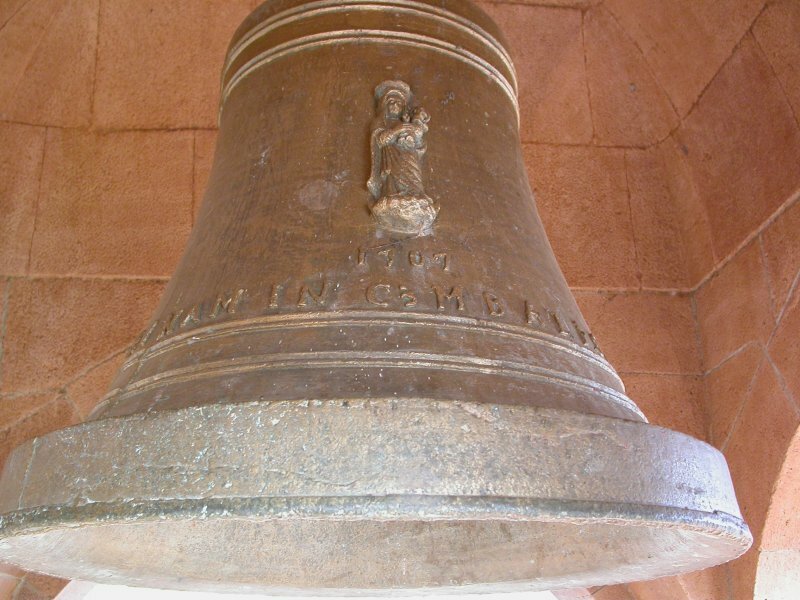 This bell was captured by Bajirao-1’s brother Chimaji Appa, from a cathedral in the Portuguese fort at Bassein. Dated 1707, the five-alloy bell bears a bas-relief of Mary carrying the infant Jesus Christ cast into it. Fourth church bell from Vasai/Bessein fort is located at Durga Devi temple, Murud. Church bell on left in Durga devi temple, Murud. Sixth church bell from Vasai/Bassein fort is located at Loni Bhapkar in Baramati Tehsil of Pune District. The Seventh church bell from Bassein fort which is now at St. Francis Xavier Church at Dabul in Bombay, once upon a time belonged to the church of St Joseph (Chakri Jena) in Bassein fort. It was given to the British by the Portuguese in exchange for gunpowder during the siege of Bassein Fort by the Marathas. The British then strung up this bell at St Thomas Cathedral at fort near Churchgate Railway Station. In 1869, it was handed over to the Bombay Arsenal where it bided its time before the Portuguese Vicar-General of Daman requested that it be returned, hence the British Governor of Bombay handed it over as a gift to St. Francis Xavier Church at Dabul. And that’s how a 146-year-old church in Bombay ended up with a 342-year-old bell.